I made friends quickly in Oklahoma, but I didn’t appreciate the landscape quite as quickly. There were lots of places to run and things to do when Oklahoma State was in session, but we had a hard time finding outdoorsy places to visit, fish, kayak, and hike when we moved to Oklahoma. After begging me for years to watch Dances with Wolves, I finally sat down with my husband and watched as a US soldier becomes friends with the Lakota tribe of the Sioux. I watched as the tribe searches for bison and comes upon herds that stretch as far as the eye can see. There was so much respect for the animal with whom the tribe’s survival depended. 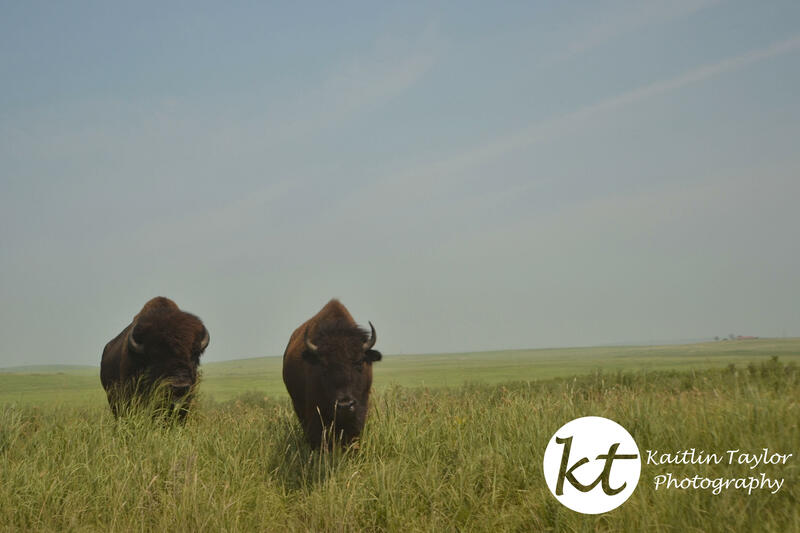 These majestic animals no longer roam free throughout most of the state, but the Tallgrass Prairie Preserve in Pawhuska provides a reclaimed area for communities to grow and flourish. Kevin Costner and his conversations about the tatonka only help to make these animals more majestic. It took me a while to really appreciate Oklahoma, but these animals were instrumental in changing my mind.